It looks like its smooth sailing from here on out for EUR/USD… until it hits 1.5000, that is! Given the strength of the pair’s move in the past couple of weeks, it seems like it’s on track to hit the next major resistance level at 1.5000. That being said, you may want to consider getting short as it approaches that major road bump. After all, Stochastic has been in deep overbought territory for a while now, so it may just be a matter of time before this baby drops like a hot potato! 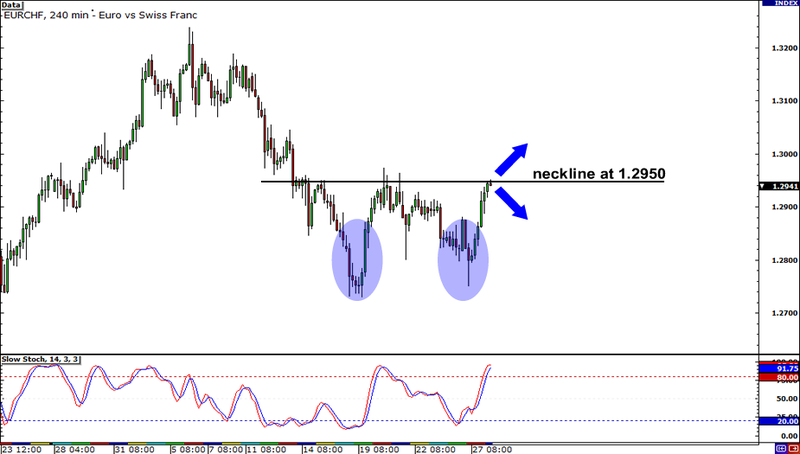 Don’t take your eyes off EUR/CHF! It’s at a critical level right now, testing the neckline of the double bottom formation at the 1.2950 minor psychological handle. Should we look to get short or should we prepare ourselves to get long? 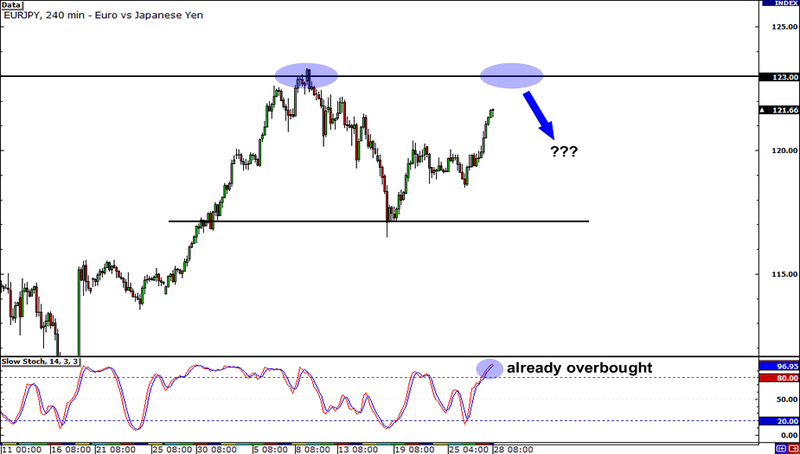 Since price formed a double bottom formation, it favors a bullish move. Of course, you can always try straddling the neckline, so no matter where the market decides to go, you’ll be in on the move! Resistance comin’ right up! All you players that have been prayin’ to get a shot at shorting EUR/JPY will be thrilled to know that its rise may come to a halt soon. 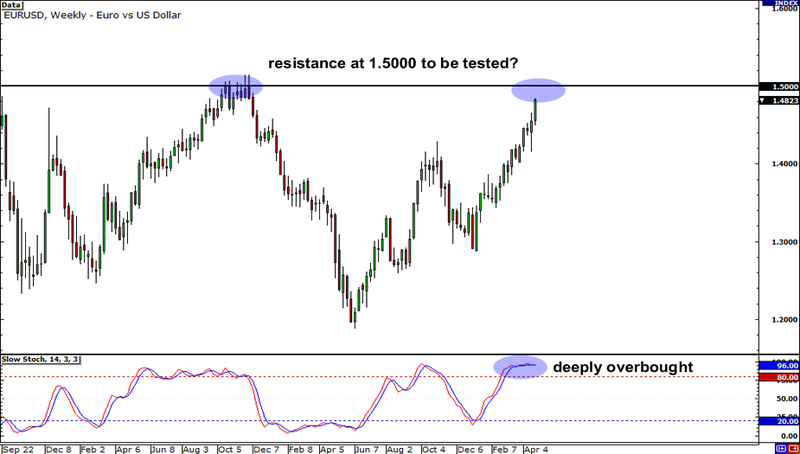 Price is on its way to meeting a critical resistance level at 123.00 and Stochastic is already deeply overbought! But just to be safe, wait for confirmation from candlesticks before you jump in. You don’t wanna get burned by a strong breakout, now do ya?! I didn’t think so! Now, I know the setups I present daily are wicked-sick. But before you get carried away with all these chart patterns and candlesticks, remember that technical analysis is only half the story. To get the complete picture and avoid getting blindsided by economic data, you also have to do your fundamental analysis. Lucky for us, Pip Diddy fills us in on what we need to know about fundamentals with his Daily Economic Roundup. Check him out, playas!